All these are full. Love the old stuff! Yes, fun to look at, more fun to shoot !! COOL!! 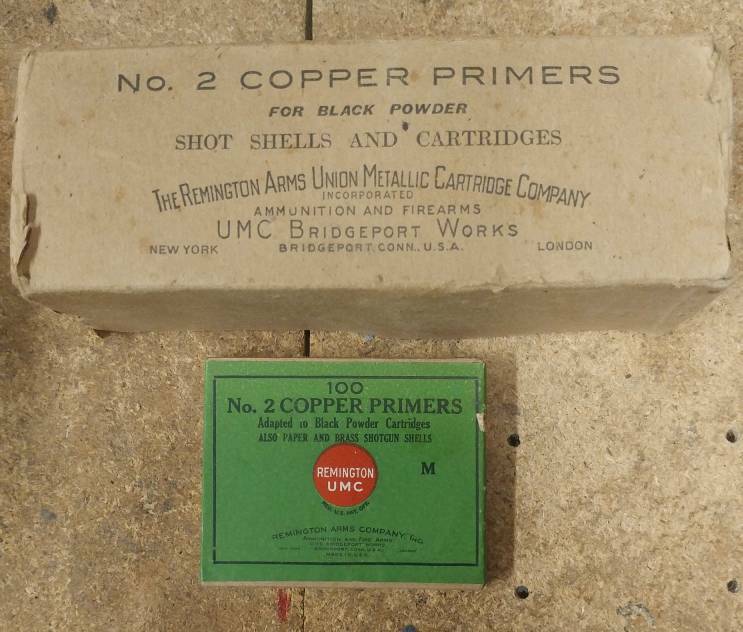 I see lots of old ammo boxes but far fewer old primer boxes. I dig the old stuff .... recently came across these. I just finished loading 3000 alcan 220 max fire, and 1000 of the cci 109. got them for $3 a thousand at an estate sale. I make my own shot and shoot 7/8oz in 12ga and 3/4oz in 20ga. makes for cheap shooting which means I can shoot more. I still have to build a shelf above the loading bench for my "nick nacks" like this. I love the old stuff read a package from back then, and then read one from today's market.